One thing that many people in business struggle with is a constant battle to keep your mind open to new and innovative ways of doing things. The reason this happens is simple – we get caught up in day-to-day reality and worrying about the details that take up all our valuable time. To be successful, we have to rise above this and take our “game” to a new level. Keep your eye on the end goal – by focusing on one thing, in his case winning the NBA championship, MJ was able to remove the other distractions and make critical decisions in all types of circumstances. On the way he also garnered many individual accolades, but these were never his goal – they were merely a by-product of the success he generated for the team by pursuing that one goal. Make others around you better – MJ was always able to make his team better. With the exception of Scottie Pippen, his team-mates were not superstars. Not even close. Although he could easily have complained about the quality of people around him, he instead chose to lead them, inspire them and take them all to a new level by understanding each of their strengths and weaknesses, respecting them and winning as a team. You often hear that he carried his team, but you never hear that he was the team. The team always played a role, and he never tried to take all the glory for himself. 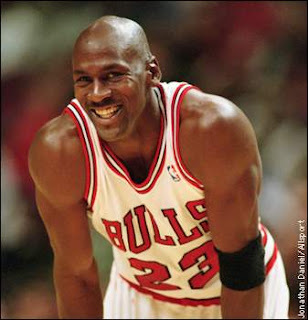 Attempt and practice the impossible – MJ made the impossible happen on a regular basis. Although there were others before him that made spectacular plays, he turned amazing into the ordinary, and he did this by practising the impossible. Just have a look at these top 10 amazing plays by MJ and you’ll see what I mean. We all get stuck doing the same regular things each day, and doing the same things over and over and over. Why not set time aside to practice doing amazing things. When you first start, you might only succeed once every 100 times, but over time that will improve to a point where you could make the impossible seem normal. What you’re doing is a thing of beauty – Basketball is just a game, like business is just business. MJ didn’t just play basketball, he was an artist creating a masterpiece everytime he stepped out on the court, and watching him play was absolutely breath-taking. He didn’t just go out to play basketball, he went out to create something of beauty that the world could look to and appreciate. He took pride in doing what he did exceedingly well, not just doing it to get by. Believe [have no fear] – The only time you really need to believe is when it seems there is no hope. The greatest example was in game five of the 1998 Finals against the Utah Jazz, where MJ was incredibly ill, and not only played, but led his team to a win with a spectacular performance. What made him great wasn’t the fact that he believed and played hard when things were going well – its that he gave his all when circumstances seemed totally against him and that there was no way to win. Yes, Michael Jordan had great abilities and skills, but so do many people. It’s what he did with them and the way he conducted himself that makes me respect him. These are just five things that stood out to me, but I’m sure there are many more. If there are others you think should be here too, please leave a comment and let us all know about it. Michael Jordan is the reason why most of us started balling back in the day. He made you want to go out there and try repeat what you had just seen. 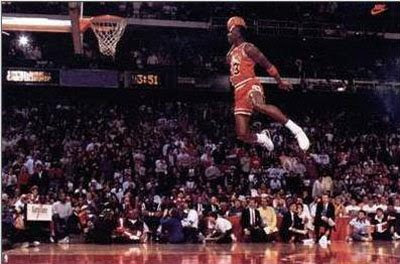 we all want to be like Mike but still not put much effort in doing that..practice practice practice..that’s what we all need to do in S.A..
speaking of that, how many a times have we seen our players going to the bball court to perfect their moves and jumpers on their own. we all wait for practice time to do that. it won’t work. we need to invest our own individual time to perfect our games. Baller alot of players work on their jumpers etc. Every day actually, and if you are lucky enough to have a friend like Neo, he doesnt mind lending a hand since he is always working on his game.